THE Ferret has uncovered what appears to be the systematic harassment of animal rights activists by Police Scotland and an apparent bias towards fox hunts allegedly involved in illegal activity. Our investigation can reveal that Police Scotland told members of the Hunt Saboteurs Association (HSA) they could not monitor fox hunts, and that officers have detained activists and threatened them with arrest while they were trying to monitor hunts. We can also reveal that journalists working for The Ferret were threatened with arrest while investigating allegations of illegal hunting in Fife. Our findings have prompted criticism of Police Scotland’s tactics and an investigation is now underway into the policing of hunts in Fife. There have been mounting allegations that fox hunts regularly break the law, claims that led to the Scottish Government ordering a review of the Protection of Wild Mammals Act 2002, which bans hunting with packs of dogs. As it stands, the legislation allows hunts to pursue foxes with dogs for pest control but the hounds must only be used to flush the creatures from cover to be shot by waiting gunmen. 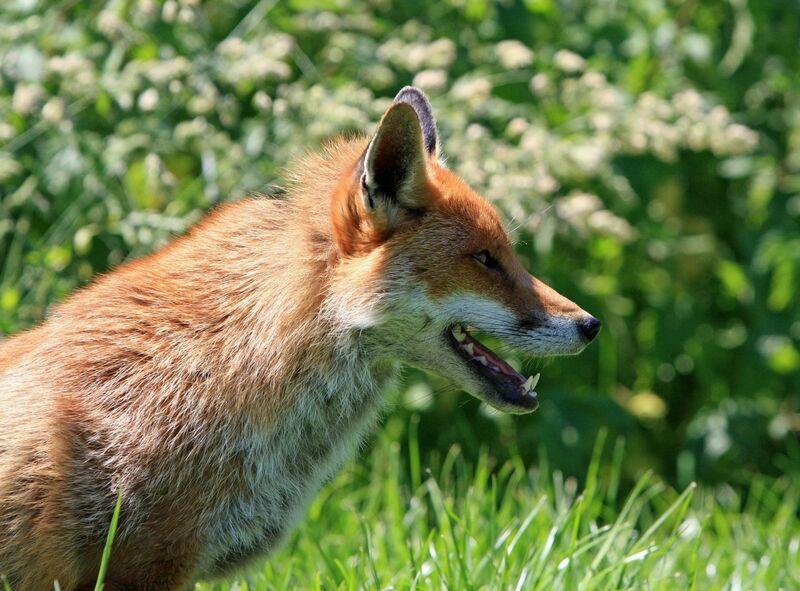 The premise was that shooting a fox is more humane than allowing animals to be ripped apart by hounds but critics argue that the law is weak and regularly flouted. Scotland’s fox hunts insist that they always hunt legally. We spent 12 months investigating and our findings have prompted concern over Police Scotland’s commitment to impartiality and its willingness to fully investigate allegations of criminality by mounted hunts. To date, there’s not been one single prosecution and the HSA has accused police of acting as a personal security force for hunts instead of investigating alleged criminality. Three videos obtained by The Ferret show police stopping and detaining hunt saboteurs and advising people they’d be arrested for refusing to provide personal details. Animal rights activists are concerned they are being branded domestic extremists and that details are held on a database alongside terrorist suspects. In footage taken near Leuchars, Fife, on Sunday, September 20, 2015, a police officer tells animal rights activists they are not allowed to monitor local hunt coordinators Fife Foxhounds. He asks the HSA to stop filming but is unaware that his voice is still being recorded. The officer asks the activists to turn out their pockets and says he can seize their recording equipment. The HSA said that it is not against the law to film in public or monitor a hunt. They also pointed out that they actually called Police Scotland that day. Other footage from Saturday, September 26, 2015, shows police stopping activists in a car following a fox hunt in Fife and threatening people with arrest. The officer demands their personal details citing section 13 of the 1995 Criminal Procedure Act. This section means that potential witnesses to a crime can be detained by police if they refuse to give personal details. Another video taken on Sunday, December 6, 2015, shows the HSA attempting to monitor another hunt in Fife and again being stopped. Two police vans attend and officers are filmed detaining people, questioning them and requesting their personal details. We can also reveal that Police Scotland acted after we contacted Fife Foxhounds with questions. The Ferret later learned that the hunt contacted a wildlife liaison officer on receipt of our questions. The Police Scotland press office then contacted us to ask about our report. In reply, Police Scotland said it had received a complaint about the policing of hunts in Fife that is under investigation and as such it would be inappropriate to comment further. Last month, two of Police Scotland’s most senior wildlife crime officers told a Holyrood inquiry they could find no evidence that mounted hunts were breaking the law. But last year, the LACS claimed nearly half of hunts were acting illegally. LACS’s investigators secretly filmed five hunts between December 2014 and March 2015 and saw no shotguns on 16 separate outings. They also secretly filmed the Duke of Buccleuch’s Hunt and alleged their video revealed “illegal hunting”. LACS believed the hunt’s activities were so “blatantly unlawful” in terms of the use of hounds that police would take action. However, Police Scotland told them it was unable to identify anyone thought to be committing a crime. At the time, a lawyer representing the Buccleuch Hunt said they had no comment to make but Scottish Countryside Alliance director Jamie Stewart said that the Scottish Government’s most recent wildlife crime report “failed to support the scandalous and unfounded allegations of widespread illegal fox hunting in Scotland”. It was announced in December that Lord Bonomy would review the efficacy of the Protection of Wild Mammals Act. He is currently taking evidence. This story was also published in the Sunday Herald on 28 February 2016. And it’s just the same south of the border. Recently two monitors Were attacked by thugs following the Belvour hunt. One man sustained a broken neck and the other was knocked unconcious after being thrown over a 14 foot drop. The police employ a wild life crime officer within longstanding connections to the hunt and a senior inspector also rides with the hunt and it has been alleged by another source that she was at a cubbing meet in 2015. Northants police have been discussed on social media too, with one of their officers blatantly blocking a road and threatening saboteurs with arrest whilst admitting he’s not interested in illegal hunting, only arresting the sabs. This is untenable, the police don’t get to choose which laws they uphold. I find it inconceivable that the police who’s wages are paid by public funds can be so openly biased as to allow illegal fox hunts & police them against animal rights activists & then blatantly lie about the service they provide in order to aid illegal hunting not only to be carried out but to police agaist rightful protest in order to make sure that it still continues. Take them all to task then sack them for failing to perform their duty of public office.